The traditional cubicle has come under a lot of pressure, lately, with mounting evidence that they can harm morale and productivity in the workplace. After all, who wants to spend their day in a dreary gray box? There are benefits to using a high-panelled cubicle workstation layout, but it’s important to note that every office is different in how they handle their day to day work. The fact is, these types of workspaces tend to have their employees working in isolation while only creating the illusion of privacy. Could we solve this problem with the correct systems furniture panel heights? In other words, workstations don’t need to be wholly segmented and separated into cubicles to adequately do their job. Let’s look at why panel heights are different for different working environments, and what are the useful trends that currently exist. Although many startups are now embracing the cubicle-free layouts, individual workstations can be useful to productivity when done right. In these cases, the proper workstation panel height will make a significant difference in an employee’s ability to work. Unlike open layouts, individual workstations provide a level of privacy which might be necessary depending on the tasks completed. For example, staff working with sensitive material, such as protected health information, must be able to control who has the physical potential to access this data. In an open workstation layout, this protection becomes much more difficult to ensure. Individual workstations give employees the chance to have their own space. This is something which most employees to need to some degree – as many as 42% of office workers create makeshift privacy solutions when they’re forced to work in open spaces. Therefore, while the infamous gray cube doesn’t seem to have been the answer, there is an increasingly cantankerous argument about the actual benefits of open office layouts. For the past year or two, we have seen increasing calls to bring back the office cubicle. As such, we’ve also been seeing an increase in type and variety of systems furniture, including different panel heights. This has included the rise of short panels, cubicles and flexible workspaces (workstations that aren’t assigned to anyone specifically) with panels sometimes as low as 39-inches tall. These spaces enable teamwork and collaboration, but also provide privacy and focus when needed. Likewise, we’ve also begun to see an increase in systems furniture panels with glass panes. 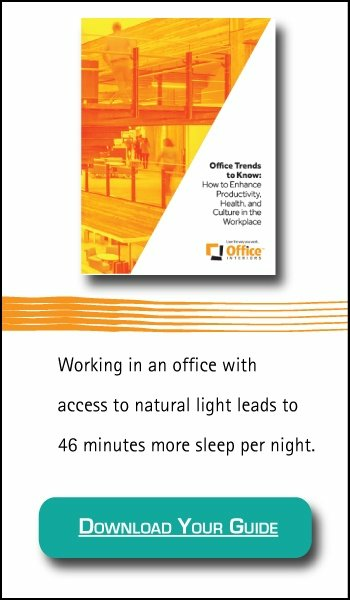 As we learn to embrace natural lighting in the office, this is manifesting in private workstations with plenty of sunlight. We’re even starting to see modular workstations with floor-to-ceiling glass panels. In 2019, it appears that cubicle-like systems furniture is indeed being embraced again. However, that leaves the question. How do we know what the best panel height will be for our office? Systems furniture panel heights come in an array of different sizes. From walls which tower well over our heads to symbolic dividers, the panel height chosen for your office can have significant impacts on culture, workflow, and employee happiness. At just over seven feet, the tallest wall panels provide visual privacy well above the average height of most people. This height enables quiet, focused work. Use panels this height when you need large amounts of privacy and discretion rather than collaboration between employees. At just under five feet tall, mid-height cubicle walls are the most common height for cubicles. They provide seated privacy and shield computer screens to a degree. However, most standing people will be able to look over them, making privacy more of an illusion than a guarantee. Low panels provide zero privacy but help encourage collaboration, communication, and creative idea flows between employees. Use short panels when you need to be able to supervise employees easily, but also want to delineate personal workspaces. The layout of an office space can significantly impact the productivity and happiness of employees. The ubiquitous misery created by traditional cubicles led to a trend which eschewed them in favour of open layouts. While these fostered creativity and collaboration, it also often left employees feeling like they had no personal space to themselves. A medium panel workstation can frequently provide the best of both worlds: it offers privacy and helps staff focus while enabling communication, and collaboration between employees. However, businesses which routinely work with sensitive material may find high-paneled workstations more effective. 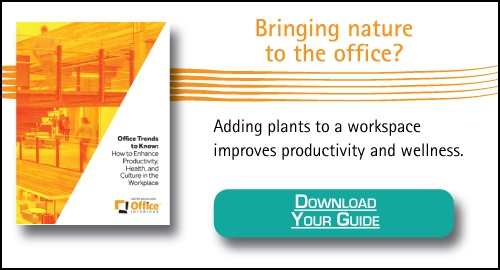 Continue and read more about how to create visual privacy and enhance auditory privacy in open office settings. Or, learn more about systems furniture to find out if it’s right for your office!